The Delhi Dance Academy, for example, is a fantastic place to visit for a taste of true Indian arts, while the Kingdom of Dreams is an entertainment complex filled to burst with shows and exhibitions; these buzzing, vibrant institutions demonstrate India’s more contemporary side. To soak up a little history instead, you could start with the Red Fort. Located in the center of Delhi, this UNESCO World Heritage Site contains a number of museums, and is a true testament to Delhi’s past. Similarly awe-inspiring attractions include the Moti Masjid, or Pearl Mosque; the Raj Ghat Memorial to Mahatma Gandhi; Connaught Place, which is a hub of shopping; Lodi Gardens; and the National Museum. Monuments such as the Qutub Minar, which dates back to 1193, and Humayun’s Tomb will only further your cultural experiences and truly cement the idea of old and new combining. 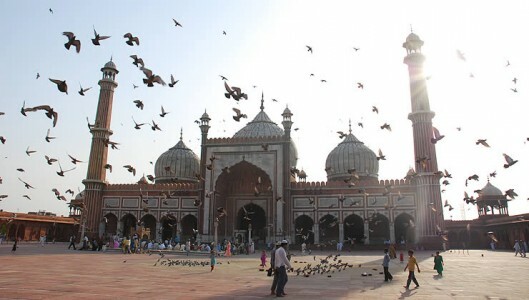 If you’re on a budget, there are few better ways to see Delhi than on a walking tour; after all, following someone who knows the area as a native does can be absolutely invaluable to discovering treats that the guidebooks may not mention. Another incredible way to see Delhi on a budget is to climb to the top of the Jama Masjid mosque to catch the stunning view. For a taste of Delhi, visit the Feroz Shah Kotla cricket ground, where tickets start for just a few dollars, take a trip to the Nizamuddin Dargah to hear mystic Sufi singing and offering prayers, or enjoy a wander down the many backstreets and through the bazaars and markets; the latter will offer you a chance to practice your bartering skills. Whatever your budget, there is accommodation to suit you in Delhi; from luxurious hotels, including The Imperial Hotel, the Leela Palace, and the Marriott, to more humble homestays, in which you lodge with a local family, you are sure to find a way to explore Delhi at your own pace. You may find that bed and breakfast accommodation, unlike the more exuberant hotels and lodgings, will offer a better experience of India’s hospitality, culture, and the way its people live on a day-to-day basis. If you are looking for a way to fully experience Delhi’s culture and history, staying in one of the many apartments in Delhi is certainly one way to go; you’ll feel like a local in no time, and you’ll be able to sample Delhi life at your own pace. Whatever you decide, your Indian vacation is certain to be an experience for both mind and body. With its blend of the ancient and the contemporary, numerous examples of the arts, and rapid cultural growth, Delhi is one of the world’s most exciting places to visit. Whether you’re just stopping by, or choosing to stay for longer, you’re in for a treat; by all means follow the guidebooks, but don’t be afraid to stray from the beaten path either.